You connect to whatever is not working in your life that creates a block and transform that pain back to power so you can create your best career, relationship and life. You work all three, mind, energy and body systems as one integrative empowered change modality. My specialized training is in PTSD/trauma, addiction, and codependency. I have completed 3 of the 5 modules in the process of becoming a Certified Trauma Therapist (CTT). I believe we need to have an experience in therapy; one that, sometimes literally, moves us. An experience that gets us out of our heads and back into our bodies. Trauma lies in the body and through experiential techniques we can access old wounds and patterns and work to understand, heal and change these. My goal with a client is for us to go on a journey together and have an experience. One that helps to bring about the change you are seeking. Experiential therapy is about utilizing mind, body, and spirit. The intention is to engage all three and unlock, not only trauma, but spontaneity and joy. Allowing for us to once again have access to our array of emotions and learn to moderate them appropriately. 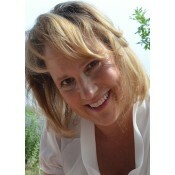 I am a therapist with a private practice conveniently located near Hwy 36 and the University of Colorado. There is plenty of free parking. I offer a student discount for full-time adult students. Please visit my website at sites.google.com/site/ashleyeder for more information. Amber Raye Ellis, M.A., L.A.C. You are the hero of your own story. I provide a guide in therapy as you explore your inner thought, beliefs, emotions and varying motivations to change. Together through practice, we help you build the skills you need to overcome your struggles. When you return from your journey, I help you make meaning out of your suffering and maintain the hard fought changes that you have won. I am a counselor with over 17 years of experience and use a combination of Motivational Interviewing, Cognitive Behavioral Therapy and Jungian/Depth Psychology Principles. I can help you to increase your motivation, build skills for a healthier lifestyle and find meaning to overcome your addictive attachments through individual personalized sessions. Visit my website at amberpsyche.com to learn more. I offer therapeutic services for both groups and individuals. I believe in the innate health of human nature and strive to accentuate that health through Equine Therapy, Play Therapy and Wilderness Therapy. I specialize in working with children and have successfully worked with issues of adoption, anger management, attachment, grief, physical and sexual abuse, PTSD and trauma. 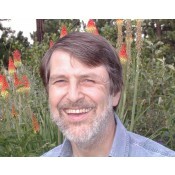 Please reference my website at www.natureoftherapy.com, for more information regarding me and my services. Hello! I'm a professional counselor specializing in a Narrative approach to address a wide range of emotional, relational, and behavioral issues. I enjoy working with clients of all ages and walks of life. Are you ready to love your story? Whatever challenges you may be facing, whether they be anxiety, depression, grief and loss, relationship difficulties, chronic pain/illness, addiction, or trauma, please know that psychotherapy can help, and it doesn't have to take a long time to begin experiencing relief. Within the first few sessions you may begin to experience a tangible shift from pain, confusion, or anxiety toward a sense of peace, calm, and clarity. As a psychotherapist I bring a grounded sense of the interplay of body, mind, and spirit as well as a strong commitment to continue my own personal growth so that I can bring as much presence, acceptance, and kindness as possible to each session. I am a licensed somatic psychotherapist and dance/movement therapist, specializing in relationships, attachment and sexuality. I work with couples and individuals using the lens of attachment and how it lives in the nervous system. I am trained in PACT, Stan Tatkin's work with couples. I also offer supervision, and am an Accredited Clinical Supervisor. Barry Erdman, LCSW, DCSW, is a licensed clinical social worker, providing caring out-patient mental health assessment and treatment for adults, couples and families in Boulder CO since 1979. Conventional and alternative approaches for marital and relationship counseling, intimacy, depression, anxiety, mood disorders, bi-polar, grief, loss, stress, addiction, abuse, career/life transition and more. BLTQ friendly. Other interests: Clinical supervisor, existentialism, transpersonal, clinical hypnosis, organization & community leadership, health & nutrition, food politics, eastern religion & mindfulness meditation, parenting, jazz drumming, alternative states of consciousness, and explorations of technology, science, neurology and the mind. 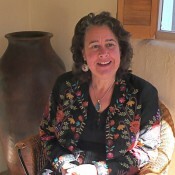 Beth A. Erlander, M.A., L.P.C. 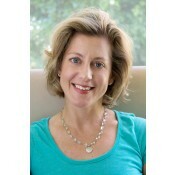 Beth provides art therapy and experiential play therapy to children and adolescents and adults. She also provides short term, strengths based, and body-centered talk therapy for individuals and couples. She accepts some insurance and is also bilingual in Spanish. She has offices in Denver and Boulder. It is important to develop both a trusting and a comfortable relationship between you and your therapist as this is the essential predictor for success in the therapeutic process. I have practiced individual and family therapy for over seventeen years, giving me the chance to see how motivation and behavior changes can help alleviate stressful issues and problems. Family therapy can be very helpful with children and teens' risk factors through a strength-based relational model and with proven complimentary behavior change interventions. If I am doing my job well then you have a better chance of experiencing great benefits, which is why having regular feedback about the process can make a difference. I have had the honor of working with many family members over the years and hope that you'll call for a free thirty minute consultation. Will Etheridge is a teacher and speaker of human behavior, a Body Psychotherapist, an artist and a trained Demartini Method facilitator. His mission is in maximizing human potential and drawing out the genius in whomever he encounters. Will's expertise is in identifying the innate intelligence in his clients, helping them discover their mission and purpose, and providing the platform for them to launch their mission. What differentiates Will from the traditional therapist is the unique scientific process he employs to guide a client from their old repetitive story to new insights, inspiration, transformation and gratitude. People come into my office for many reasons, and the struggle is often that they are dealing with a problem that seems too overwhelming and too complex to handle by themselves. As a result they feel stuck and not able to see a way out. I combine my knowledge of perceptual balancing, neuroscience and Body Psychotherapy to offer a new perspective that is designed to get to the heart of the issue, integrate it and provide the client with new possibilities. My goal is to help the client "tame their inner rhinoceros". There are times in one's life when certain unhelpful behaviors end up controlling you instead of you being able to control them. I work with a wide age range of children and teens and their families to recognize and strategize against habitual negative behaviors. I work with individuals that struggle with PTSD, compulsion, anxiety, anger control, defiance and grief. I work with culturally diverse clients overcome troubling experiences with friends, school, family history and environmental events. I strive to strengthen the connection between youth, their schools, their families, and other providers with whom they are involved. See my website: Tameyourrhino.com for more information. I have successfully helped clients with their life problems for over 30 years. My therapeutic intention is to resolve pressing issues quickly. Then, if appropriate, we take time to explore deeper, more profound life concerns. I see a wide range of clients but specialize in working with men and couples over the age of 50 and adolescent boys, age 13-20. I trained as a psychologist in the UK and taught at Naropa University for 15 years. I have been in practice in Boulder since 1990. Call or email me. There will be no pressure but I will try to guide you towards the kind of help that suits you best. Teena Evert is a psychotherapist in the Denver area, specializing in women's health with a focus on prenatal and postpartum adjustments, attachment, and transitions in parenthood. Teena works with adults, couples, infants and mothers, and developing families. She comes to the field of clinical psychology with a background in Yoga, Structural Integration and body-oriented clinical training. Her psychotherapy practice integrates a mind-body health approach with principles in somatic and prenatal & perinatal psychology. She combines her comprehensive training, clinical skills and personal experiences to support people on their own unique journey towards personal growth. Teena is also trained as a Certified Gottman Educator , Prepare-Enrich Premarital/Marriage Counselor, Structural Integration Practitioner, and Yoga Instructor.